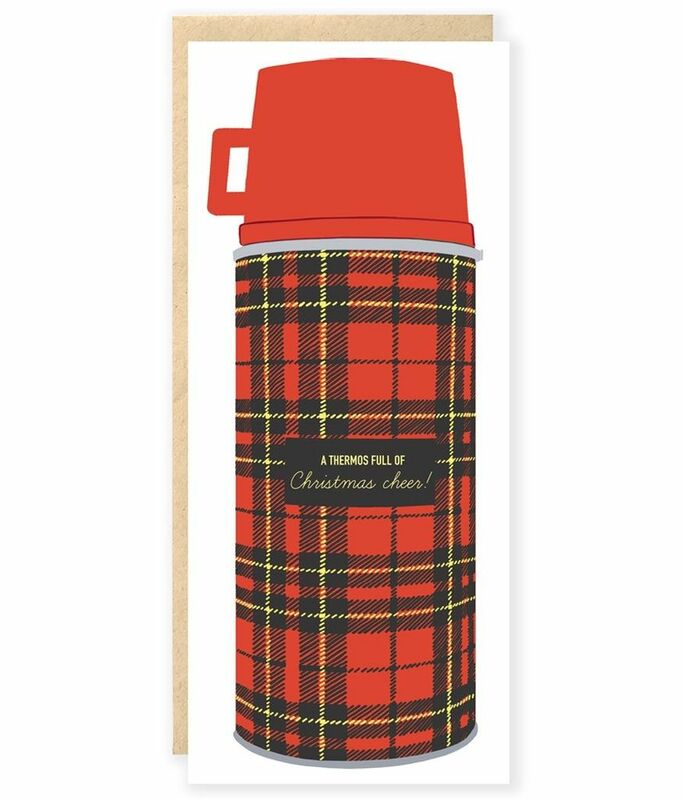 The holidays are happier with happy campers. 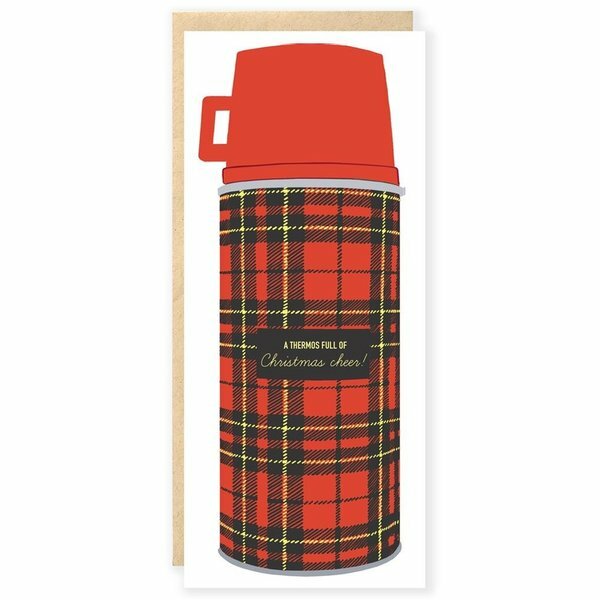 Send cheer that stays warm in the mail, in this vintage plaid camping thermos. #10 card with Kraft envelope.